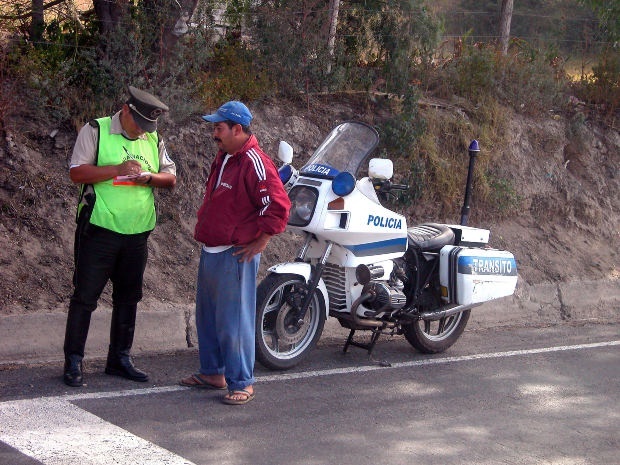 Today, there are seventeen violations for which administrative code provides for deprivation of driver of the right of control of the vehicle. Virtually every driver, not even being the worst offender, may be in a situation where before him loomed the prospect of losing, for a time, a driver's license. The law does not provide for the return of a driver's license before the deadline. According to the Cao as soon as the expiry of the term deprivation of the rights, the seized document is returned on demand within one working day. Therefore it is better to take all possible steps to ensure that these rights would not lose. In most cases, articles of the administrative code, carrying a punishment of deprivation of the right of vehicle control, contain and punishments - fine. In two cases: leaving the scene of an accident that was the driver, and the failure of the driver deprived or not having the right of management of the vehicle, the legal requirements on the passage of honey. examination for alcohol intoxication, provides for disqualification or arrest for 15 days. Only the use of alcohol or drugs after an accident or until passing the examination involves only the deprivation of rights for 1.5-2 years. Because divestment is an extreme measure, there is an alternative to withdrawal of the driving license is fine. What would the judge have used as punishment what sanction is necessary to direct to court the petition with a request to replace a driving fine. In support of his claim is necessary to bring mitigating circumstances. For example, that the traffic violation was caused by extreme necessity, a fact which needs to be confirmed by witnesses or by documents. As mitigating circumstances the court takes into account the fact that professional activity offender connected with driving a car, and, deprived of rights, he loses the opportunity of obtaining a livelihood. That would not lose their rights after the proceedings must, at the time of registration violations by the traffic police, to focus, to calm down and analyze the circumstances of the violations and actions of the inspector during the detention and drawing up of the Protocol. It may happen that the violation does not provide for deprivation of rights, and the police just puts pressure on the violator. In drawing up the Protocol in the column "explanation of the driver" it is desirable to write "in violation disagree." Further, when considering the case, it can serve as proof of a lack of offense. Since in this case there are mistakes and inconsistencies in the case, and it will give the court reason to doubt the completeness proofs of fault of the driver. Otherwise, if the Protocol is signed by the driver and his violation he agreed, the judge in hundred percent of the guilty driver. After registration of the case by the inspector, it is necessary to determine the date and time of the case in court. Don't assume that you will hasten to notify. In practice, very often cases are heard without the participation of the offender. And this, in turn, dramatically reduces the chance not to lose their rights. Not to be in such a situation, it is necessary to send a telegram to the chief of police with a request to specify the date and time of the hearing. Don't forget that after the Decision of the court, it takes effect only after the expiration of 10 days. This is the time set for its appeal. Thus, the best way to regain law - driving rules, which guarantees their safety. It is also necessary to warn that the law does not provide for early repayment rights, if you are still stripped from them. And if someone will offer to solve the problem for a fee, know that this type of fraud, and the maximum you will get is a hole in the budget in addition to the lack of a driver's license. The Internet is full of ads with offers to help to return the rights for a certain fee, allegedly having the administrative resource in the traffic police. Know that it is a hundred percent Scam. There are also suggestions to help solve this problem, coming from various law firms. There guarantees a hundred percent no one will give you, but for your money you will receive qualified legal assistance,which is important and will increase your chances of success, if you do not have experience in court cases.